Chinese smartphone maker Xiaomi on Monday announced the opening of three more smartphone plants in India -- along with the company's first Surface Mount Technology (SMT) plant in Chennai that will manufacture printed circuit board assembly (PCBA) units in the country. Announcing this at the first-ever "Supplier Investment Summit" being held in the Capital, Manu Jain, Vice President, Xiaomi Global and Managing Director, Xiaomi India said that Xiaomi is one of the pioneers in the country to start local assembly of PCBA. "Xiaomi's high-quality, well-designed products at honest prices have been instrumental in disrupting the Indian smartphone industry. I believe we will continue to play a key role in transforming India into a global manufacturing hub," Jain told reporters here. Earlier this month, the government imposed a 10 per cent tax on imports of key smartphone components, including PCBs. "If all the suppliers set base in India, this would potentially bring in an added investment of over Rs 15,000 crore and create 50,000 job opportunities," the company said. The summit was inaugurated by Amitabh Kant, CEO, Niti Aayog; Ramesh Abhishek, Secretary, DIPP and Deepak Bagla, CEO, Invest India. The three new smartphone plants -- in partnership with Foxconn -- are located across campuses in Sri City, Andhra Pradesh and a new campus in Sriperumbudur, Tamil Nadu. The factories with Foxconn now employ more than 10,000 people, of which more than 95 per cent are women. "Additionally, all of the assembly work is done by women. The new factories will result in an increased production capacity of two smartphones/second during operational hours," Xiaomi said. With the first SMT plant dedicated towards local manufacturing of PCBA units in Chennai, Xiaomi has also become one of the pioneers in the country to start local assembly of PCBAs. PCBA is the process of soldering or assembly of electronic components to a PCB or printed circuit board. SMT is a method for producing electronic circuits in which the components are mounted or placed directly on to the surface of PCBs. PCBA is one of the most important components of the smartphone, and contributes to nearly 50 per cent of the value of the phone. Xiaomi expects to ramp up its PCBA production to close to 100 per cent of its locally-produced phones within the third quarter of the calender year 2018. According to Tarun Pathak, Tarun Pathak, Associate Director at Counterpoint, Xiaomi's PCBA announcement should make it the second largest brand in terms of value addition in India after Samsung. 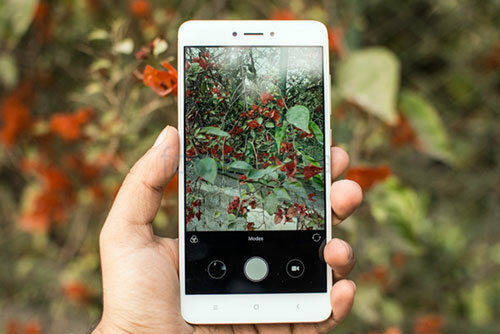 "The move should increase Xiaomi's value addition from single digit to close to 15 per cent," Pathak said. With an overall market share of 26.8 per cent (as per Q4 IDC Quarterly Smartphone Tracker 2017), Xiaomi is also the number one player in the online smartphone segment with 57 per cent market share and the number two smartphone player in the offline space with 11.2 per cent market share.